In April 1984, after 14 years in the concrete construction industry, John Burgess founded Burgess Concrete Construction Company. Two years later the company Incorporated and it has been growing ever since. Although there were only a few employees in the first few years, many of those laborers are now key leaders in the company today. Since the company’s inception, Burgess Concrete has excelled at commercial and industrial concrete projects. Over the years the focus and expertise has expanded to include healthcare, education, and institutional projects. Burgess Concrete has also become a leader in the concrete construction industry of concrete polishing, concrete paving, concrete pumping, laser screeding flat floors, helical pier foundation lifting and stabilization, and sandblasting. From a pickup truck and bobcat, John Burgess has grown Burgess Concrete to a company with a wide array of equipment with employees to operate each piece skillfully. 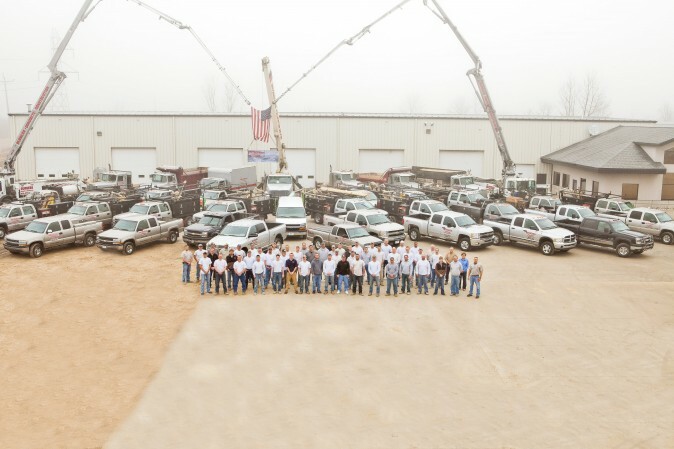 The future potential of Burgess Concrete is limitless with the quality of personnel on the Burgess Concrete Team. Each is looking for a new challenge! At Burgess Concrete, we hold ourselves to a high professional standard. We follow through on commitments and doing the job with excellence in mind. We keep our schedule commitments.